If you’re looking for a fresh take on comfortable discount furniture, you can’t miss the Acropolis Reclining Sofa and Loveseat from American Freight Furniture and Mattress. This stunning sofa and loveseat set has a simple structure and elevated design. Today, we’re going to teach you all about this futuristic couch set and recommend staging tips for living rooms, offices, basements, and more. The Acropolis Reclining Sofa and Loveseat is a taupe color called Ash. The body of the fabric loveseat and couch pair is a high resiliency Dacron polyester. We love this set because it’s a uniform color with subtle dark taupe stripe detailing. You can see the slight color change in the back and arm cushions. The middle back cushion of the sofa folds into a drop-down table. There are cupholders and a power strip to charge your electronic devices on each piece. Both pieces also feature manual reclining levers. In general, the set has a sophisticated and pillowy build. The arm cushions are padded and the cushions feature foam and cushion coils. The simple square shape and light stitching give the ash colored couch set a futuristic look with traditional features. Put the Acropolis set in your basement for the perfect home theater experience. Four people can sit back and recline comfortably while you watch all your favorite TV shows and movies. We recommend placing the set side-by-side across from the TV or projector for the best experience. Who said you have to stage the discount sofa and loveseat set together? We love to put the loveseat in an at-home office for added comfort and seating for clients. Take the sofa portion of the set and add it to your basement for a small entertainment space or create a TV nook in a large guest bedroom. There are so many ways to split up this versatile fabric couch and loveseat. One of our favorite ways to flaunt the Acropolis Reclining Sofa and Loveseat is to make it the center of attention in your sunroom. This light, modern sofa set will look incredible in a room with lots of natural lighting. Plus, the polyester material will offer comfort season after season. You can’t go wrong with staging the sofa and loveseat in your main living room. Place the set around a coffee table facing an entertainment console or create a sitting space with accent chairs. 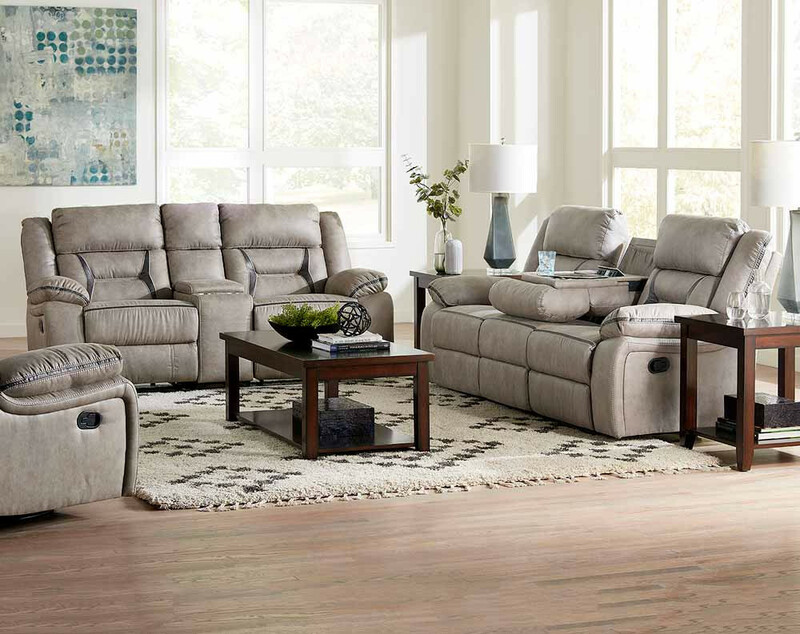 Complete your living room furniture with the matching Acropolis Recliner for only $399. 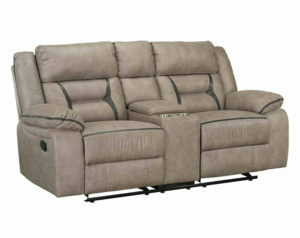 You can take home the Acropolis Reclining Sofa and Loveseat for only $1,399. 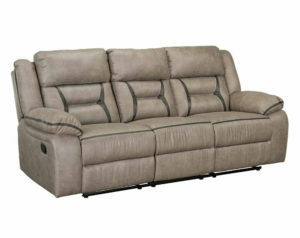 American Freight Furniture and Mattress offers tons of cheap sofa sets for living rooms and home theaters. To view all our sofas and loveseats on sale, click here. Or stop by your local store to browse our latest selection and try before you buy. Not sure where your closest American Freight is? Click here to use our store locator. 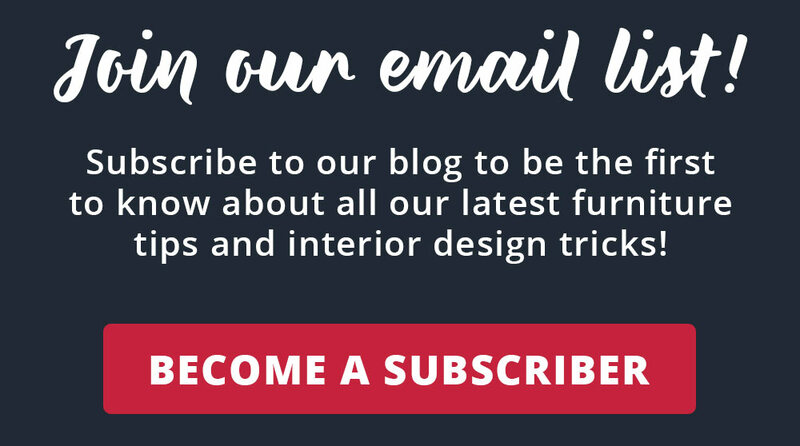 Interested in reading about our other cozy reclining furniture? 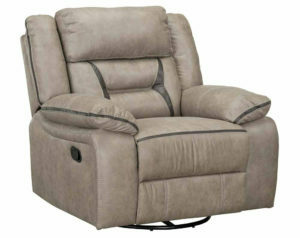 Click here to learn more about three of our favorite recliners! Do you still have the couch, love seat and chair? The Actopolis ?